It’s a noisy noisy world. So many businesses competing for your attention. So many businesses competing with your potential clients attention. Attention spans are shorter and distraction is everywhere. Start things but never finish them. Buy beautiful planners but abandon them. Make plans. Then make new ones. When you take focused consistent action – goals are easily reached. How do you take focused consistent action when there are so many distractions? The antidote to distraction is a strong, focused plan. Take for example one of my clients, Melissa. When we first starting working together just a year ago Melissa knew she was great at what she did. Which was to help online coaches get started and getting results. She also knew that she was just about fully booked and ready to run a group coaching program. Instead of making up a bit of a plan – she got expert help. We created a strong focused plan. She launched her first group program following this strong, focused plan. And even though her Facebook Ads account had been blocked – she still managed to reach her goal to have a successful first online launch. She was able to side step challenges. Her strengths are knowing that she needs a focused plan that she and her all star team can work to. Working together the program is on it’s fourth launch within a year and total launch revenue in that time is nearing $700k USD at the time of writing this. Without a strong focused plan – you’re at the mercy of distraction. You can’t be calmly thriving – you’re always looking at greener grass outside your yard. Without a strong focused plan you’re not sticking to your strengths – you’re competing with other people’s strengths. Without a strong focused plan you can’t adapt to opportunities and side-step challenges. 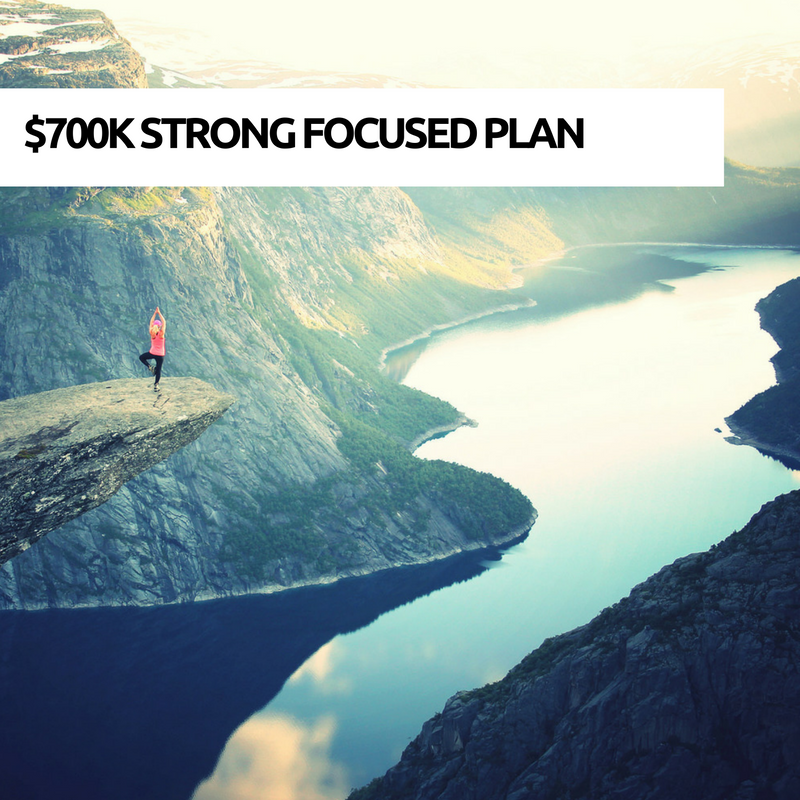 How would your business results change with a strong focused plan to stick to?